When we think of Alzheimer’s Disease (AD) we immediately think of the brain and memory, as well as some frightening possibilities and statistics. AD is the most common form of dementia and is named after the German physician who first described it, Alois Alzheimer. AD manifests early as difficulty in remembering names and recent events, apathy, and depression. Symptoms developing later include impaired judgment, disorientation, confusion, behavior changes, and difficulty speaking, swallowing or walking. Current medical science recognizes two leading culprits in the development of Alzheimer’s disease; the buildup of amyloid beta plaque and neurofibrillary tangles. Think of the plaque as gum clogging up the brain and its billions of connections. Neurofibrillary tangles can be thought of as protein knots inside the neurons interfering with functioning. This plaque in the tangles form in parts of the brain associated with memory, judgment, speech, and learning. Possibly one of the most disturbing elements of Alzheimer’s is its progression, getting worse and worse over time, as we, and our loved ones, watch the self slowly disappear. The statistics surrounding Alzheimer’s, the seventh leading cause of death in the US, are equally disturbing with over 5 million Americans now living with this disease. Currently one in eight people, 65 and older, have Alzheimer’s and every 70 seconds someone new is developing this disorder. And the outlook is unfortunately expected to worsen; with projections that by the year 2050 someone will develop Alzheimer’s every 33 seconds. AD Is not just a disorder affecting us in our later years, estimates are that approximately 500,000 people in their 30’s, 40’s, and 50’s have early onset Alzheimer’s or dementia. This number is also significantly on the rise. Perhaps the biggest barrier to successfully treating dementia is that we still know so little about it, what causes it, elements of its development, and even what all the risk factors are. An example of this complexity that I experienced in writing this article was the compiling of over 100 pages of notes for this two-page article. Another contributing factor to the lack of success in Alzheimer’s treatments is the possibility that the focus is too narrow and possibly at least partially misdirected. Is it possible that AD is more than just a disorder of the brain? In the past few weeks three stories have been featured in the health news, each with a story and a possible piece of insight into the world and path of doing of Alzheimer’s. The first is the cessation of clinical trials on what was thought to be a promising Alzheimer’s drug. Not only did it not work, it made matters worse. A second report came out suggesting potential benefits from taking the vitamins, the theory being that these nutrients would help lower homocysteine – a leading risk factor for the development of the disease. In fact homocysteine levels doubles one’s risk for Alzheimer’s. So where do we go from here? How do we have a significant impact on Alzheimer’s disease? The answer is PREVENTION, PREVENTION, PREVENTION. We know for a fact that efforts from this point on are extremely more difficult and less likely for success. It is very important to note that Alzheimer’s develops over a long period of time, beginning decades before it noticeably manifests. Don’t wait for the disease to develop to the point of dead and dying brain cells, become involved in your health and especially your brain health today. In the area of prevention there is much we can do and much we can affect, from lifestyle choices to diet and possible supplements. Here is a collection of healthy brain tips and suggestions to get you started. 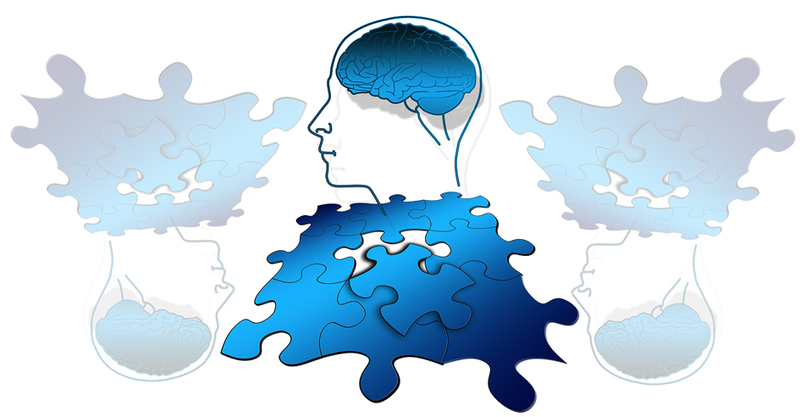 1) Mental exercise for a diseased brain may be the best idea, keeping the brain active, challenged, and stimulated has long been known to be beneficial for healthy cognitive function and memory. 2) Avoidance of head injuries is very important. More and more evidence coming out with sports research is making the connection between head trauma and the later development of Alzheimer’s, dementia, and significant mood disturbances. 3) And in the holistic fashion, physical exercise has been shown to reduce one’s risk, 40% in one study. 4) Stay involved and socially engaged, loneliness more than doubles one’s risk factors. 1) Eat a plant-based diet. One study showed a 51% lower incidence of AD in people over 65 who consumed the most vegetables and fruit. 2) Eat blueberries (And probably other berries as well). Blueberry extract was found to completely prevent Alzheimer’s in animals bred to develop it. Separately it was found to slow and even reverse some aspects of brain aging. In another study older adults who consume strawberries had less cognitive decline. 3) Several studies have demonstrated the benefit of the Mediterranean diet, higher the adherence to this diet lowered the risk and the slowed cognitive decline. 4) Eat organic. In a study of over 3,000 people 65 and older, exposure to pesticides increases one’s risk for dementia by close to 40%. 5) Fat intake is also closely linked to greater risk. A 240% increase in risk was seen in those with the highest total fat intake, a 90% increase was seen in the highest saturated fat intake, with a 70% rise in those with the highest cholesterol consumption. Conversely, good fat, measured by fish consumption decreased risk by 60%. 6) Eliminate or at least cut back on refined carbohydrates and sugars. Both high blood sugar and insulin have been linked to poor brain function, memory, learning, and Alzheimer’s risk. Supplements such as PGX, Maitake SX fraction and chromium may help balance sugar and insulin levels. 1) Lions Mane mushroom and it’s more therapeutic version Amyloban 3399, very promising work has shown that these extracts can stimulate nerve growth factor production, a substance that has demonstrated the ability to slow and possibly reverse the development of amyloid beta plaque and neurofibrillary tangles. It may also protect healthy cells from the damaging and deadly effects of the plaque. 2) Ginkgo, a powerful antioxidant that supports a healthy cardiovascular system and increases blood flow to the brain. 3) DHA, makes up 30 to 50% of our brain’s fatty acid content. A deficiency is linked to cognitive decline, cell studies show it may reduce amyloid beta secretion, and animal studies suggest it may improve memory by reducing oxidative stress. 4) Turmeric, this ancient spice is a potent antioxidant and anti-inflammatory. Other demonstrated actions include the reduction of plaque and metal toxicity, neuron protection, and overall memory improvement in patients with AD. 5) Acetyl l-carnitine, may help delay the onset and slow the progression of Alzheimer’s, helped form the nerve transmitter acetylcholine, protect neurons, and improve mental energy and sharpness. 6) The choline family, this includes lecithin, choline, PC, PS, and GPC. These sources of brain assisting phospholipids facilitate acetylcholine, energy metabolism in the brain, and may improve quality of life, memory, attention, and sociability. 7) Other promising supplements include Huperzine, vitamin D, Green tea, vitamin E, Vinpocetine, sage, lemon balm, Bacopa, and NAC. Considering the fact that many variables affect one’s risk, development, and progression of Alzheimer’s it makes sense to consider incorporating whole body, systemic tonics to the protocol. These remedies have been used for thousands of years and have been considered to be medicines of the highest level, each displaying some affinity for the brain. 1) Reishi mushroom, a central nervous system and whole body tonic that nourishes the heart mind center. 2) Ashwagandha, an Ayurvedic remedy that experimentally has been shown to repair damage to brain cells and support acetylcholine levels. 3) Gotu kola, nourishes the brain and nerves while supporting a healthy cardiovascular system. 4) Cordyceps, possibly natures most effective rejuvenating remedy, it boosts the body’s own potent antioxidant system and may combat amyloid beta development. While there is no simple answer or cure for the devastation of Alzheimer’s disease, this tip of the iceberg will give you a significant and very large head start down the path to a healthy brain. What is becoming more and more evident and widely confirmed is that a healthy body leads to healthy brain, a dementia–free brain. And the best path to a healthy brain and body begins with PREVENTION.